I’m going to set this up for everyone reading. I love this movie. That means get ready for a lot of praise. While it is the end of the Captain America trilogy, it also feels kind of like Avengers 2.5 because there are so many heroes in this movie. Pretty much every important MCU movie character to this point outside of Thor and Hulk are involved. The juggling act was masterful in The Avengers, but less so in the sequel. However, this was probably the best it has ever been done. 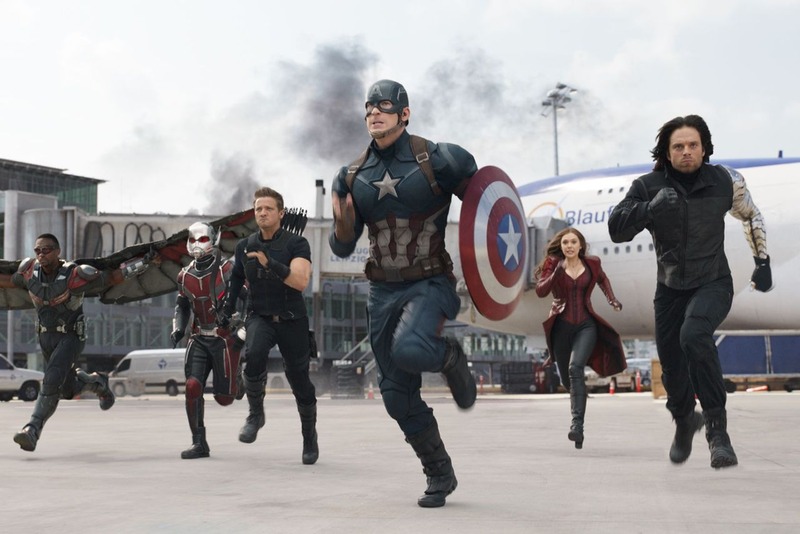 Avengers: Age of Ultron struggled to introduce Vision, Scarlett Witch, Quicksilver, and Ultron. In this movie, they managed to debut Black Panther and Spider-Man, while bringing in a villain, and including all sorts of characters that hadn’t been in this trilogy yet. Despite having to do all those things, none of it feels like it doesn’t get the amount of shine it deserves. It’s an incredible balancing act. This film made me certain that the Russo Brothers were the best choices to go on to direct Avengers: Infinity War, because that had even more plot lines and characters to juggle. The main theme of this movie surrounded the Sokovia Accords. Due to the events of The Avengers, Captain America: The Winter Soldier, Avengers: Age of Ultron, and the opening scene here, the United Nations started the Accords to govern these heroes. Tony Stark (Robert Downey Jr.) wants to sign, while Steve Rogers (Chris Evans) is against the idea. While the concept goes much deeper in the comics, the film does a great job with it. They give us both sides and never really make one out to be the bad guy. I’ve heard plenty of people talk about this movie and they actually seem split about 60/40 in favor of siding with Cap. That’s impressive. It’s hard to do but the movie handles it with plenty of care. Speaking of Tony Stark, Robert Downey Jr. gives one of his best performances here. I loved him in Iron Man and Iron Man 3. He’s a fun piece of both Avengers films, but there was something special here. His character arc continues throughout the entire MCU. From the arrogant guy we first saw to the one faced with death in the sequel to the guy who made the sacrifice play in The Avengers to the man frightened with PTSD who eventually created Ultron out of that fear. His guilt for Ultron is what drives him and the loss of Pepper Potts doesn’t help. This is something of a broken man and Downey plays that way better than you probably would’ve expected. Part of what makes Downey so great in this movie is his instant chemistry with Tom Holland (Peter Parker). Yes, this is where we talk about Spider-Man. 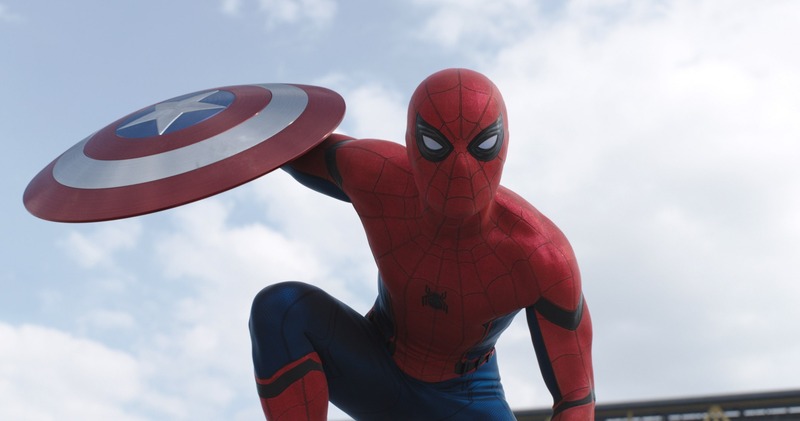 Holland is, far and away, the best Spider-Man we’ve ever had on film. Andrew Garfield and Tobey Maguire aren’t even in his league. And this was just a glorified cameo. Still, Holland captures everything right about Parker. Each scene he’s in is fantastic to the point where he steals the show. Whether it was simply talking to Tony, stealing Cap’s shield, showing off his Spidey sense, interacting with Cap, or anything in between, it ruled. 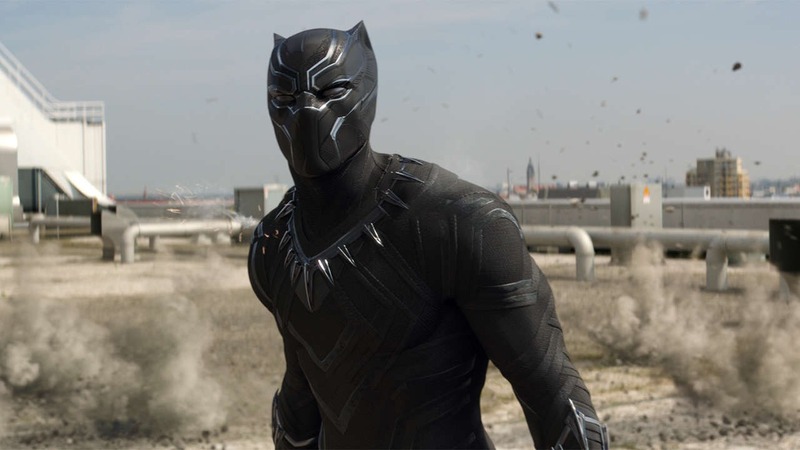 The other new character was T’Challa (Chadwick Boseman), better known as Black Panther. He’s more important to the plot and gets more to do than Peter Parker. What an introduction this is. T’Challa arguably gets the best arc of the movie. He is filled with rage when his father is killed. T’Challa believes Bucky Barnes (Sebastian Stan) was behind it all, so he straight up sets out to murder him. It leads to great moments between them and the phenomenal line he delivers to Cap. “So I ask you, as both warrior and king, how long do you think you can keep your friend safe from me?” That’s the hardest line in the MCU to this point. By the end of the film, he realizes that he won’t let vengeance consume him and grows into someone more worthy of being a hero. It’s beautiful. 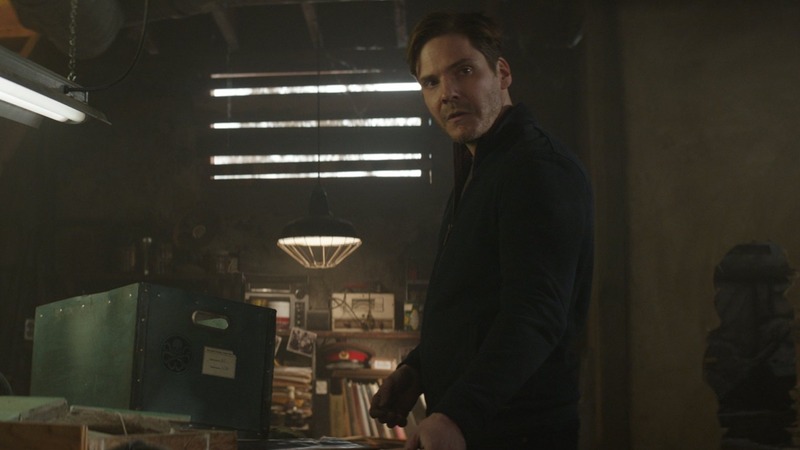 That wonderful scene where T’Challa realizes the error of his ways comes with the film’s main antagonist, Helmut Zemo (Daniel Brühl). It’s difficult to place him on the list of villains so far. I liked his motivations stemming from Sokovia and his plan is solid. It’s a bit contrived, but ultimately he does what he set out to. He drives a wedge between the Avengers. Zemo understood that he couldn’t beat them himself, so he put them against each other and caused a major riff. In that sense, he worked. 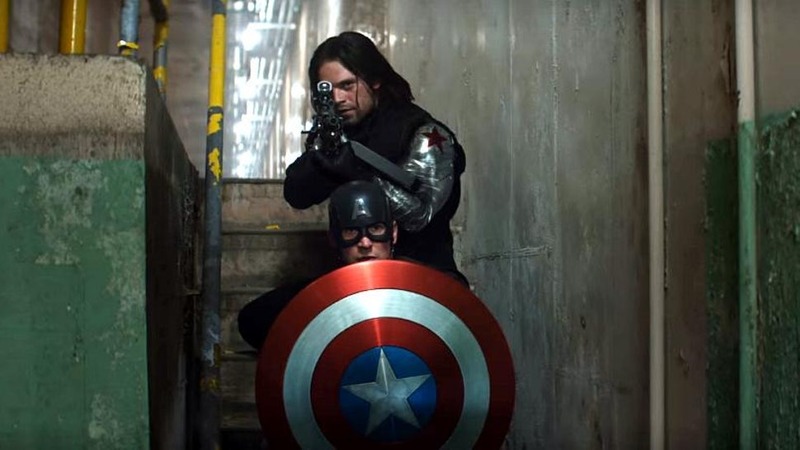 I love that this movie is driven by the relationship between Steve and Bucky. What we saw in Captain America: The First Avenger built into Captain America: The Winter Soldier and culminated beautifully here. The lengths Steve goes to for his buddy, when nobody else believes, is incredible. I also want to show love to the relationship between Cap and Natasha Romanoff (Scarlett Johansson). They were a highlight of the previous film and always work well together. It helps that Evans and Johansson are great friends in real life, which translates onto the screen well. It makes sense that Natasha would help Steve in the end. 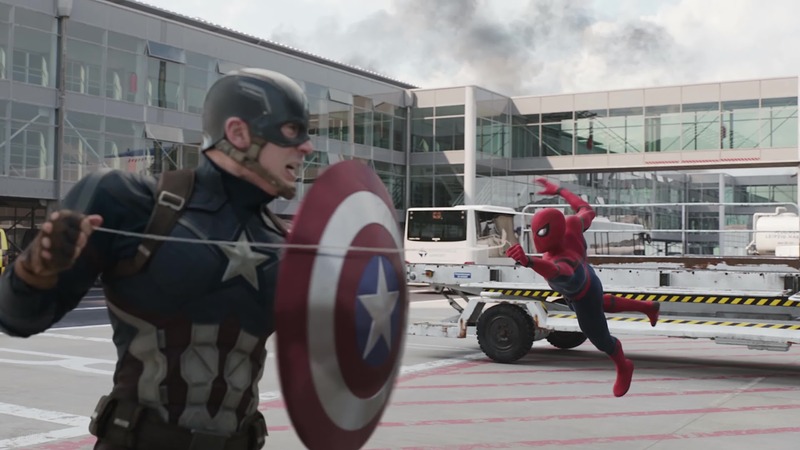 Of course, we can’t talk about this movie without discussing the airport scene. It’s the best thing I’ve seen in the MCU up to this point. 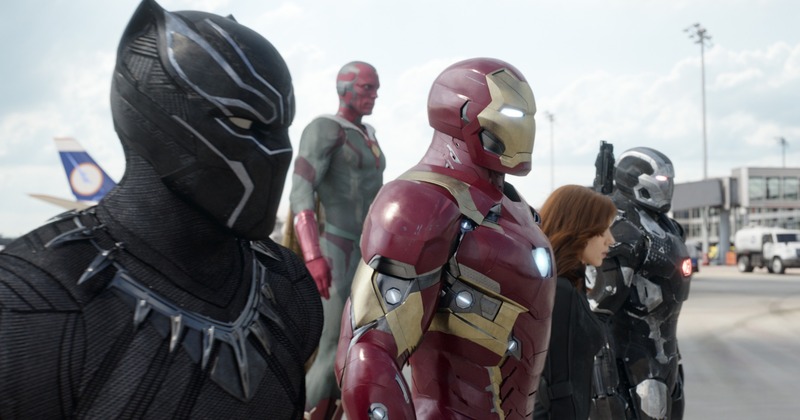 Captain America, Bucky, Falcon (Anthony Mackie), Scarlett Witch (Elizabeth Olsen), Hawkeye (Jeremy Renner), and Ant-Man (Paul Rudd) pitted against Iron Man, Spider-Man, War Machine (Don Cheadle), Vision (Paul Bettany), Black Widow, and Black Panther. The fighting is cool, with plenty of shine given to what works for each character. There are cool interactions and plenty of great moments. Spidey is tremendous but Ant-Man was a surprise star. I loved him invading Iron Man’s suit, turning into Giant Man, and riding on Hawkeye’s arrow. T’Challa and Bucky had an intense battle. 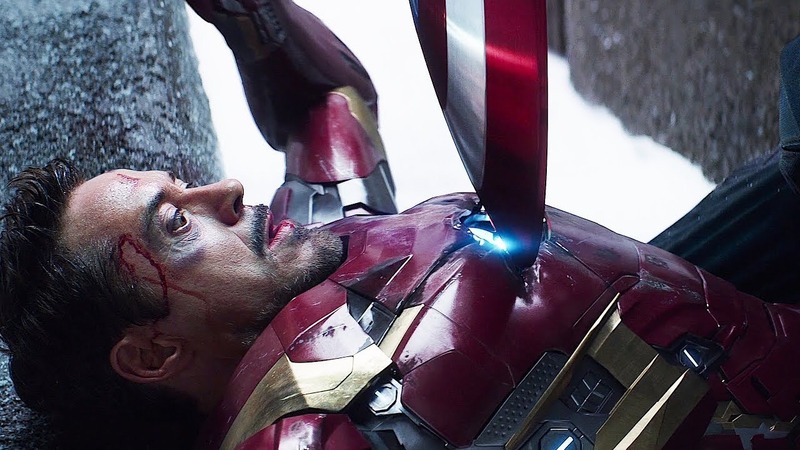 Cap fought Iron Man. Wanda and Vision, who had a romance develop here, went at it. War Machine gets paralyzed. Best friends Natasha and Clint go at it. There’s so much greatness that happens here. Now that I’ve mentioned him, I do want to comment on Hawkeye. After seeing this movie around 10 times, I’m still torn on his return. On the one hand, I really like the character and enjoyed most of his moments in this film. On the other, I think it kind of cheapens his retirement and farewell at the end of Avengers: Age of Ultron. I would’ve liked him to stay away and only return when things got truly bleak. It’s a minor gripe, though. One of my favorite things about this movie is that it feels like a fitting end to a trilogy. The series of films for Thor and Iron Man come across more like three separate stories for the character, with a few intertwining aspects. Everything about Cap’s trilogy ties together. That’s especially true in terms of the Bucky relationship and how the events of the second part drive Cap’s motivations in this final leg. Also, you simply can’t beat the fact that we get an, “I could do this all day,” at the start of The First Avenger and the end of Civil War. I get goosebumps when he says it to Tony here. In terms of MCU connections, there are quite a few. The post-credits scene from Ant-Man is actually from this film. The whole reason Ant-Man can be in this movie logically is because of his interaction with Falcon back then. We got the return of General Ross from The Incredible Hulk. Of course, events from movies like Avengers: Age of Ultron directly lead to the Sokovia Accords and set up the villain’s motivations. No matter which way you slice it, this is one of the best things the Marvel Cinematic Universe has ever done. It masterfully balances so many moving parts and makes sure everyone gets proper shine. It includes great set pieces backed by stellar characters and emotional moments. The pacing works, it sets up multiple future films, and so many things are just done so well here. We have a new number one on the list of best MCU properties.